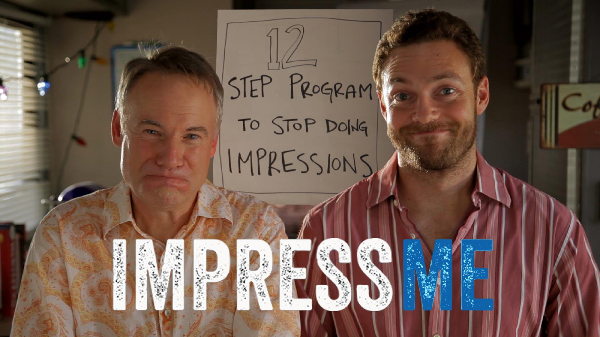 Created and produced by Meskimen, along with writer-director Ben Shelton, and Ross Marquand (new The Walking Dead series regular Aaron), the half-hour scripted comedy centers on two celebrity impressionists who are trying to quit doing impressions and become dramatic actors. The result: total chaos. Among cameos from Matt Jones (Breaking Bad), Josh Groban and “Weird Al” Yankovic, are fellow Acting Center students Erika Christensen, Beth Riesgraf, Tamra Meskimen, Taylor Meskimen and Tom Ayers. Viewers can find Pop on their cable box by going to www.poptv.com and using their zip code locator in order to watch every episode, starting March 18th.